And why should we surprised? We do not know of a disease in existence that is caused by a lack of a pharmaceutical agent. And what are Alzheimer’s disease drugs but patented xenobiotic chemicals, completely alien to human physiology? Therefore, the answer is to look deeper at the underlying causes of Alzheimer’s disease, and preventing, addressing and reversing them whenever possible — the perennial goal of compassionate and logical medicine. In connection with this finding, Alzheimer’s disease patients are commonly deficient in melatonin levels, likely due to the inability of their pineal gland to produce adequate quantities. Indeed, Alzheimer’s patients have been found to have a higher degree of pineal gland calcification than patients with other types of dementia, and sleep disturbances have been identified as a primary driver of Alzheimer’s disease pathogenesis, due to the fact that wakefulness increases the the toxic Alzheimer’s disease associated brain protein — amyloid-β (Aβ) — and sleep reduces Aβ. Melatonin has also been identified to inhibit the progression of Aβ brain pathology as well as the formation of Aβ protein itself. Cholesterol is brain food and protection. Pathologists in Spain found many peoples brains with plaque and calcification who did not have Alzheimers but everyone who had fungus on the brain had Alzheimers. It is the only 100% connection. Lets call it Candida of the brain. All fed with a carb and sugar diet. I wish they had checked whether they had burst ear drums or gum disease as these could be easy places for the initial infection. Fungus/Candida evidence also makes sense why a Keto diet and Curcumin has such good results. I have been drinking a little juice/apple cider vinegar combo (vinegar with ‘mother’) every day for a year or so – the one difference that’s been really noticeable is that my tongue never has a white coating on it, and I rarely get any indigestion or heartburn – but if I do it can be quickly eased with same remedy ! I totally believe it’s the ‘bugs’ in your guts that are in control….I read that Candida can produce hugely long strings infiltrating your body & be in all your tissues. Seems to me society now has a real problem. My own Internal Med Dr. tried to get me to say ‘yes I get heartburn’ & seemed not to believe me when I explained how I fix an occasional issue after certain packaged foods ! So I am convinced they expect everyone to fall in behind the current ‘normal’ conditions & take all their prescribed ‘remedies’. If we all turn into rebels they will have no patients ! Very sad ! Yes I’m convinced the Candida issue is a very big modern problem – because of processed foods ! A few years ago I started doing a lot of meditation and one day I heard a pop inside my head and for about a month I felt something just floating around. My chiropractor said that due to exercising the brain through meditation,calcification of the pineal gland had broken off and this would be absorbed by my body in several weeks. So said, so done. After reading this, I am so glad! It’s multifactorial, but environmental chemical toxins including iatrogenesis, pose the biggest risk. why does no-one ever mention geo-ngineering and all the nano-particulates of Barium, Strontium, Alluminum oxide, etc, as at least part of the culprit, and is linked to Alhzeimer’s as well! 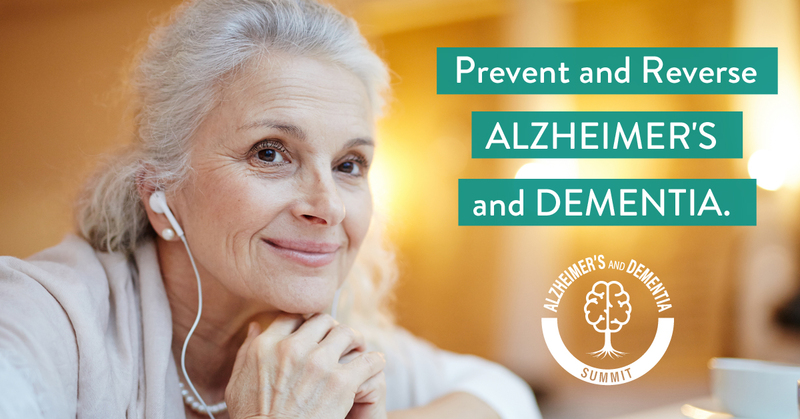 Alzheimer’s disease does reflect our bodily and environmental health as a whole. It’s refreshing to see someone taking this stance. Great share! Since calcified placques appear to specifically develop in areas of acute inflammation (mitigation/repair response) the above method for reversal requires high anti-oxidant intake and a commitment that may radically change ones lifestyle. A relation, with severely elevated small LDL and triglyceride cholesterol levels and extensive calcified arterial / cardiovascular placques, has strictly adhered to the above protocol for over a year and has reduced preexisting calcified plaques by as much as 35 to 40 percent. Middleway, thank you for posting this – it needs to go in the discussion section under every article on atherosclerosis and cardiovascular health. Your relative has done an awesome amount of research and pulled it together in a clear, comprehensive way. I am in the process of implementing each method of plaque regression that he reported on in my husband’s daily regimen (he has thickening in the walls of his carotid artery – will get a CT scan in February. I’m almost done listening to the whole series. For anyone trembling on the brink of Altzheimer’s, if the current theory of calcification of soft tissues in the brain is correct, please watch the video Middleway posted – it is a great compendium of research on ways to prevent and even reverse calcification processes. The studies he was referring to had to do with arterial plaque, but the underlying processes would most likely be similar anywhere in the body. Especially do the research on vitamin K2 (mk4, mk7). If you go to scholar.google.comand look up “warfarin calcification” you can see that the many people taking coumadin (warfarin) are running at high risk for soft tissue calcification…. including the brain?? Peggy, click on the video link that middleway posted and then on the “more” below it so you can see the full screen. In the lower right corner, you can click on “youtube” and watch it on youtube. That is where you can subscribe. There, you can see it was uploaded by Claudio C. If you search youtube for Claudio C you can find this screen where some of his other videos are: https://www.youtube.com/cha… Click on the one that says “Atherosclerosis can be reversed”. By the way, 3 years ago, my husband’s carotid intimal media thickness (CIMT) was 9 years older than his physical age on the chart. This year when they redid the ultrasound, his artery walls were 3 years younger than his physical age! During these 3 years, he has eaten tinned fish (herring or sardines) every morning with ground flax sprinkled on, half a grapefruit and half an avocado. The rest of the day, he keeps meat to a strict minimum and is very careful about fats, doesn’t eat much wheat or dairy at all and eats lots and lots and lots of vegetables, fruits, legumes and nuts. Also oatbran/flax muffins. He takes a full complement of supplements and drinks at least a 1/2 cup of purple juice a day (like Trader Joe’s Power 7) – we have a big garden and I buy pomegranite juice on sale. I freeze berries and fruits and in the fall mix together and can up a very large batch of pomegranite juice, Concord grape, Methley plum (a juicy plum with dark purple flesh), black mulberry, black currant, black gooseberry, elderberry, aronia, blackberry, cranberry, tart cherry and raspberry juices.) I know the research was based on pomegranite juice, but I still like the idea of having a nice mix and so far, so good! Thank You for answering me. So glad you & your husband figured out how to help him. Amazing what the body can do when we give it the right things.